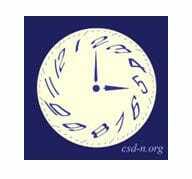 ASA is a national organization dedicated to increasing awareness about sleep and sleep disorders. Promotes sleep apnea awareness, sleep research, and advocacy. A non-profit focused on people with neurologic disorders in which the sleep-wake cycle is out of sync with the day-night cycle. Narcolepsy is a life-long neurological sleep disorder that affects the control of sleep and wakefulness. The Narcolepsy Network provides information about treatments and emotional support for patients & family members. Founded in 1990 by leaders in sleep medicine, NSF is a trusted resource for sleep science, healthy sleep habits, and sleep disorders to medical professionals, patients, and the public. 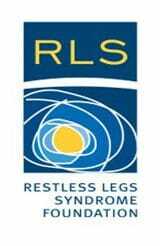 The leading organization for science-based education and patient services for people suffering from restless legs syndrome, a neurological disorder that causes irresistible urges to move legs or other parts of the body. KLS is a neurological disorder characterized by recurring periods of excessive amounts of sleep. The KLS Foundation provides information and support to those diagnosed with KLS and their families. A community of people with chronic health conditions, patient advocates, non-profit organizations, and other partners working together to raise awareness of how sleep impacts health, safety, well-being, and productivity. Promotes activities to help members improve their own sleep habits and raise funds for sleep research. A website dedicated to children’s sleep.